This 3 lesson package includes the Downtown Adventure PLUS 2 more lessons. 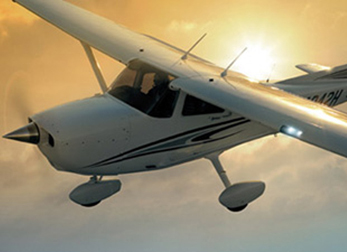 The additional lessons will include 2 more hours of flying and 2 more hours of ground instruction. Topics covered will include weather, maintenance, preflight, aerodynamics, and radio communication, systems of the airplane, aerodynamic stalls and LANDINGS! Approximate length of 3 Lessons is over 6 hours.